This article was originally published by E-International Relations (E-IR) on 20 February 2016. According to Max Weber, realism ‘recognizes the subjugation of morality’ to the ‘demands of [a] human nature’ in which the ‘insatiable lust for power’ is paramount (Weber in Smith 1982:1). This claim has led many—especially among liberal theorists—to label it as an amoral and bellicose doctrine (Molloy 2009:107). Yet while ‘inconsistency among realist theories’ (Smith 1982:12) may lend truth to claims of amorality and bellicosity among other strands of realism, this essay specifically examines the morality outlined in the realist works of Hans Morgenthau. It will argue that Morgenthau’s realist doctrine is neither amoral nor bellicose because it is informed by a set of utilitarian ethics that ‘rationally direct the irrationalities’ of human nature and aim to prevent major conflict (Niebuhr in Whitman 2011). The essay will begin by defining realist morality according to Morgenthau, focusing on ‘the evil of politics,’ the ‘moral precept of prudence,’ and ‘utilitarian ethics’ (1985:8). Though few critics dispute the presence of morals in Morgenthau’s realism, the essay will follow by addressing perceived flaws in his moral argument, as well as briefly examining the different moral assumptions made other strands of realist thought. The essay will conclude by restating the morals of ‘political ethics’ according to classical realism and end with a question concerning the significance of realist ethics to Weber’s ‘moral problem’ in International Relations (Smith 1982:28). Hans Morgenthau is one of the most influential realist theorists of all time, and his arguments are fundamentally based in a ‘stern, utilitarian morality’ (Kaufman 2006:25); Morgenthau’s classical realism forms the basis for the argument put forth in this essay. According to critic Robert Kaufman, Morgenthau’s realism was developed as a ‘pessimistic critique of liberal utopianism,’ wary of the idealism of the inter-war years and intent on preventing another World War (2006:24). As such, Morgenthau puts forth a theory in which international relations are assumed to be at the mercy of human nature, self-interest, and an insatiable lust for power (1945:2). These factors, according to Morgenthau, are evidence that politics ‘falls within the domain of evil’ and thus, political ethics must be ‘the ethics of doing evil’ (1945:17). However, what seems a bleak and amoral outlook on world politics is redeemed by a moralist caveat: Though ‘the evil of politics is inescapable,’ by weighing the consequences of potential political action the ‘moral strategy of politics’ can be reduced to a choice among the least of all evils’ (Molloy 2009:99). Thus, despite his focus on power and successful political action, Morgenthau’s realism displays an inherent morality. Morgenthau’s realism is fundamentally concerned with mitigating the effects of a savage human nature on world order (1945:6). Morgenthau’s realism demonstrates a strict adherence a set of utilitarian ethics based on the logic of consequences and the ethic of responsibility, in which ‘rational action’ and ‘moral action’ are one and the same. Such equivalence is made especially clear through an examination of what Morgenthau terms the ‘triumph of evil’—in which the balance of power is drastically altered and worldwide conflagrations ensue. Morgenthau dictates such failure can only be avoided through carefully weighing the consequences of potential political action (1985:12). Morgenthau’s calculus of potential consequences, a concept he refers to as ‘prudence,’ is the ‘supreme virtue’ by which the ethics of political action are judged, and provides the basis for much of realist morality. (Molloy 2009:94). For Morgenthau, ‘rational foreign policy is good foreign policy,’ not because of some inherent good, but because it ‘minimises risks and maximises benefits’ and ‘hence complies with both the moral precept of prudence and the political requirements of success’ (1985:6). For Morgenthau, to act without prudence is ‘to attempt the fulfilment what is best at all times in every place’ and to avoid such hubris and idealism, one must ‘filter universal morals through the concrete constraints of time and circumstance’ (1985:49); States must avoid hubris, and act with prudence to maintain the balance of power, minimise international conflict, and ensure the survival of their citizens (Smith 1982:). 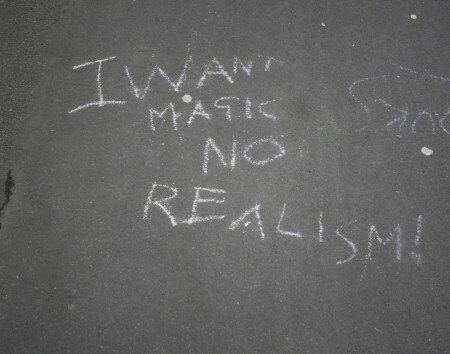 Thus, for realists there can be no morality without rationality. Realists consider hubris to be the ultimate failure of political success and moral action because it means ignoring what is possible in order to maintain ethical perfection. This leads to one of the main criticisms of realism: a willingness to take actions that are not in accordance with the universal morals. However, the separation of actually reality from intended reality for the purpose of judging the ethics of political action is the first of two fallacies addressed by Morgenthau (1985:7). Realism ‘does not ignore the moral implications of political action,’ it values the ‘logic of consequences’ over the ‘logic of conviction,’ and merely weighs the consequences of political action against their perceived morality in order to determine which action is a represents the ‘lesser evil’ (Molloy 2009:4). Morgenthau states that a concern with political intentions fails to take into the requirement for political success, and may, in fact, lead to greater injustices as a consequence (1985:4). Concerns with ideology share the same problems. While ‘realism does not require indifference to political ideals,’ the desire of statesmen to neglect their ‘official duty to maximise the utility of their power’ in the hopes of ‘spreading their own ideology’ represents political hubris (Morgenthau 1985:5). Morgenthau maintains that, ‘while good motives provide assurance against deliberately bad policies,’ they are ineffective predictors of political success and cannot be used for the purpose of passing ethical judgment on political action (1985:5). Criticism of Morgenthau’s realism can be found from the classics to modern times. According to the ‘founding fathers’ of realist thought—Hobbes and Machiavelli—‘the individual, by nature, is a moral being, the state, amoral (Smith 1982) and Thucydides, another founder of realist thought, repeatedly emphasized the subordination of morality to self interest in politics (1.1.76). However, despite these claims, very few critics dispute the fact that classical realism is based on a set of particular morals (Molloy 2009). Morgenthau’s critics instead focus on the basis of the ethics put forward in his work, or on problems with the theory as a whole. One of the most convincing critiques of Morgenthau’s ethics is made by Veronique Pin-Fat, who argues that—far from being amoral and dystopian—Morgenthau actually fails to ‘escape his own utopianism’ (2005:217). Pin-Fat argues Morgenthau’s insistence on ‘filtering’ abstract moral principles ‘through the concrete constraints of time and circumstance’ enables the State to ‘actualise transcendent values’ according to its own interests (2005:219). This, she states, in-effect paves the way for totalitarianism (Pin-Fat 2005:236). Such concerns are echoed by Lobbel, who claims ‘cloaking interests in the guise of moral principles is… a symptom of the inadequacy of realism’ (2009:182). In these two critiques, the ‘mysticism of the nation-state’ renders Morgenthau’s efforts to prevent the rise of another totalitarian hegemon entirely counter-intuitive (Pin-Fat 2005:217). The State cannot simultaneously be judged by ‘timeless, universal, moral principles’ and by ‘contingent’ interpretations based on circumstance as the first would make much of what constitutes State action immoral, while the second would ‘tell us nothing of morality… only of State power’ (Pin-Fat 2005:236) To attempt to do so, Pin-Fat argues, is to ‘hopelessly abstract morality’ and render ethics ‘irrelevant’ (2005:236). For all of the ‘stern morality of Morgenthau’s classical realism, other strands of realism are sometimes used to justify bellicose ends which would be viewed by classical realists as ‘imprudent.’ This is especially true among Neorealists. The offensive realism of Mearsheimer and defensive realism of Waltz both maintain the same basic principles as Morgenthau, but interpret them differently. To simplify, where Morgenthau sees anarchy as a tool that enables States to influence the balance of power in the international sphere, Neorealists see it as the capacity for States to wage wars against one another and become obsessed with security (Mearsheimer 2001). Thus while other realist doctrines might be described as bellicose because they assume violence to be the norm, Morgenthau instead accepts the inevitability of minor violence as a price to be paid to prevent major ‘paradigm-shifting’ conflict. Yet, from ‘acting through the lesser evil’ and always heeding the utilitarian ethics of ‘prudence’ Morgenthau’s realism demonstrates a stern morality fundamentally concerned with preventing of ‘the triumph of death’ and major State-on-State wars (1985:14). As such it can be described as neither ‘amoral’ nor bellicose. In fact, ‘despite [the realists] claim that the overt pursuit of morality should have no place in foreign policy, a moral vision of their own informs the whole realist approach’ (Smith 1982:29), and even Morgenthau’s critics concede that “questions concerning the morality of international politics” are ‘central and constitutive of his form of political realism’ (Pin Fat 2005:1). Regardless of which strand of realist thought is examined, the realist ethics defended in this essay raise an important question concerning the ‘moral problem’ (Weber in Smith 1982:72) in International Relations: A reconciliation of the ‘ethics with conviction’ with the ‘ethics of responsibility.’ Namely, which is more moral, the ‘perfectionist ethics’ of liberalism which shrink from the lesser evil because they do not want evil at all—potentially jeopardizing not only their own security, but a stable balance of power in the international system. Or the ‘utilitarian ethics’ of realism, capable of filtering ‘universal morals… through the concrete contrasts of time and circumstance’ and pursuing the lesser evil to ensure the stability of the international order and guarantee relative peace? Kaufman, R. (2006) Morgenthau’s Unrealistic Realism. Yale Journal of International Affairs. Mearsheimer, J. (2001) The Tragedy of Great Power Politics. New York: W.W. Norton & Company. Moregenthau, H. (1985), Politics Among Nations: The Struggle for Power and Peace. New York NY: Alfred A. Knopf. Morgenthau, H. (1945) Scientific Man versus Power Politics Chicago, IL: University of Chicago Press. Smith, J. (1982) Realism as an Approach to International Relations: A Critical Analysis. Dissertation. Harvard University. Whitman, Alden (June 2, 1971). “Reinhold Niebuhr Is Dead; Protestant Theologian, 78” (PDF). The New York Times. Retrieved August 20, 2011.